Wow I guess I am right in there with you. Although I have no trouble sitting still. Couldn't agree more! Great pre-school poster. Good idea. 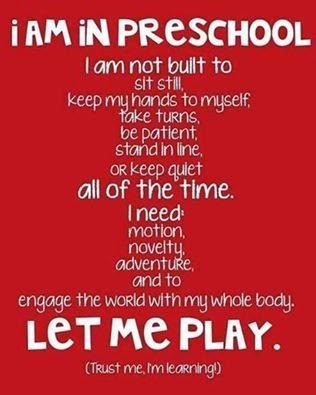 I can't stand schools that force little kids to sit and be "good" all day.